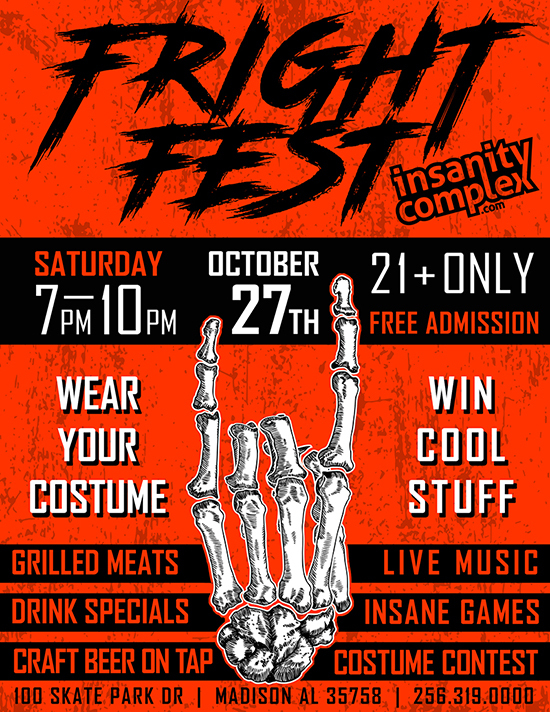 Grab your friends and come to our Fright Fest 21+ only party decked out in your freakiest costume! We supply you with beer, food, and live music all night as you play mini golf and batting cages. Everyone who comes is entered into our costume contest for the chance to win some cool prizes! Free admission into the event, just pay for attractions, drinks, and food.